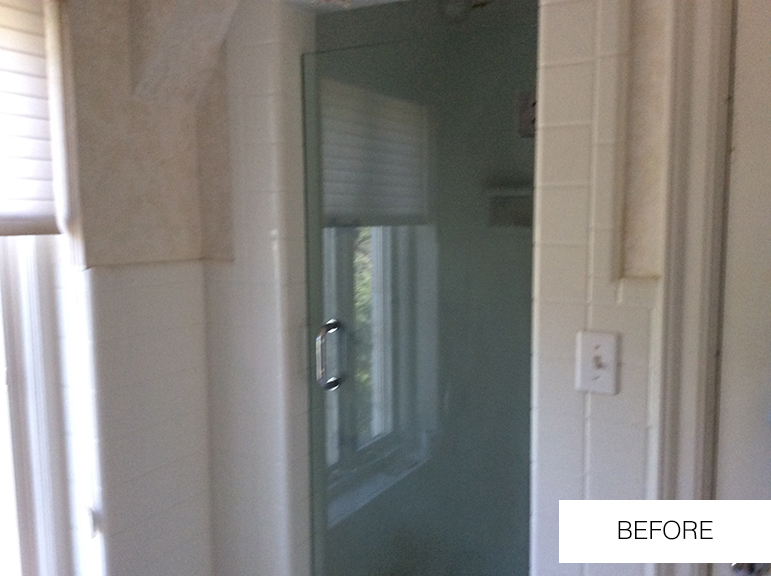 With the help of design professional Gigi Lombrano, a couple transformed their 40-year-old master bath into a place they could both enjoy. Located in the refreshingly free-form Terryhill area, the home of Marilyn and Jay Cohn is as close to idyllic as one can envision on a warm July afternoon. Their garden is immaculate. Their almost 80-year-old home is immaculate. Their property is an exercise in cohesion and cooperative balance. Everything agrees and everything blends. 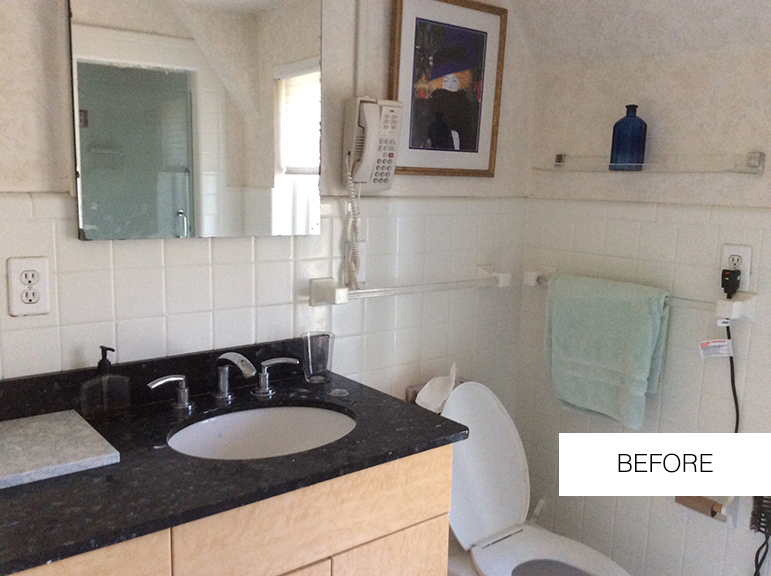 Faced with a spectrum of bathroom options – and varying opinions – the Cohns found it in their best interest to consult their “mediator” for guidance. “They are so fun…I’ve been working with them for 10 years or so,” says Gigi Lombrano, local interior designer and longtime confidante of the Cohns. When they finally decided to tackle the bathroom, it was Gigi who advised, deliberated, and yes, mediated. “Very light and very fresh was the goal here,” she says of the renovation, which took the better part of the summer of 2015 to get exactly right. “We aimed for low maintenance, easy-to-care-for and user-friendly materials and textures," clean walls, classic angles, a palette cool and bright. The Cambria quartz countertop, she feels, captures the concept perfectly. 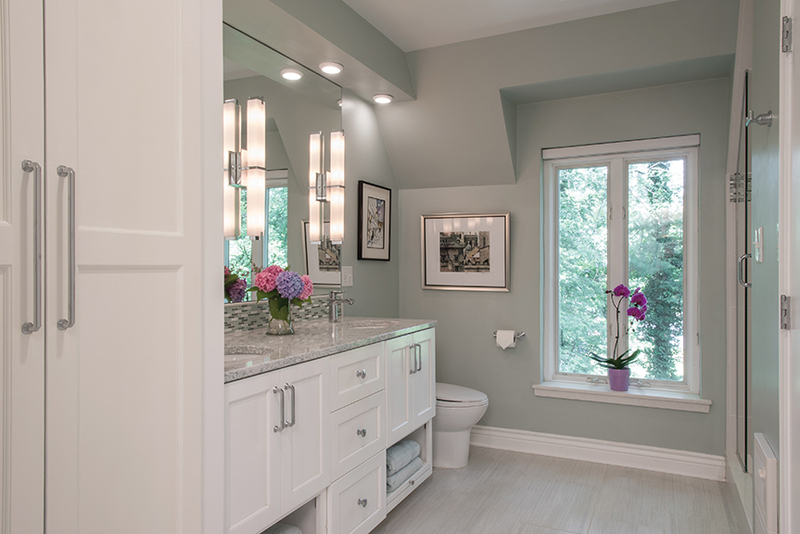 As a “workable neutral,” the greige-blue surface adds a clean polish to the light-blue walls and white accent moulding. Paired atop crisp white cabinets with metallic-silver fixtures, the faint glimmer of the counter adds cohesion and a necessary weight to the space. “Ultimately, we wanted someone to just walk in and ahhhhhhh, just sigh,” Gigi says. And with plans conceptualized by Chris Berry of brooksBerry & Associates and a few field trips to scour for accoutrements, that’s exactly what they did. 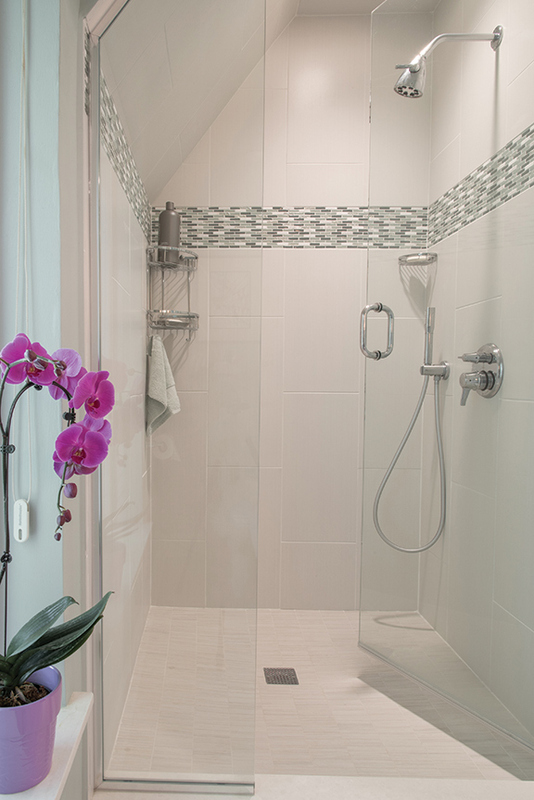 Despite a number of hurdles – from the massively thick walls housing radiant heat pipes to multiple layers of tile to pull up from the floor – they rebuilt the shower, demolished the unnecessary barrier walls to integrate a walk-in and supplementary closet and, most importantly, made it possible to include the double vanity that started it all. Jay turns to watch the sun wash the perfect garden in a perfect late-afternoon glow. “Not Benjamin Moore. It was Sherwin Williams,” he says. Perhaps only Gigi knows for sure.